Dual-temperature glue sticks are designed for use in hot-melt, low-temperature or dual-temperature glue guns. Versatile, multipurpose sticks can be used for various bonding projects from general purpose to heat-sensitive materials. 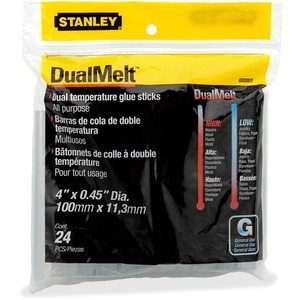 Glue sticks can be used with the Stanley GR20 GlueShot glue gun and GR25-2 Dual Melt glue gun.